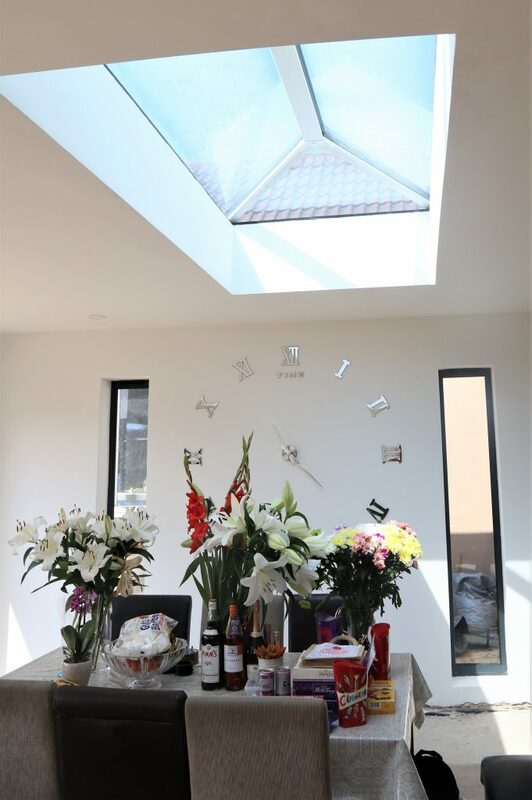 New extension on family home. 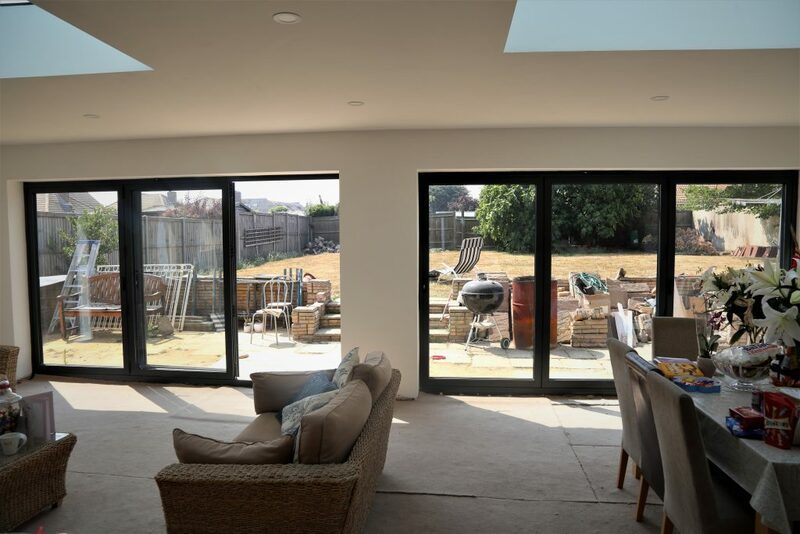 Grey 7016 Bifolds, Windows and Roof Lantern. 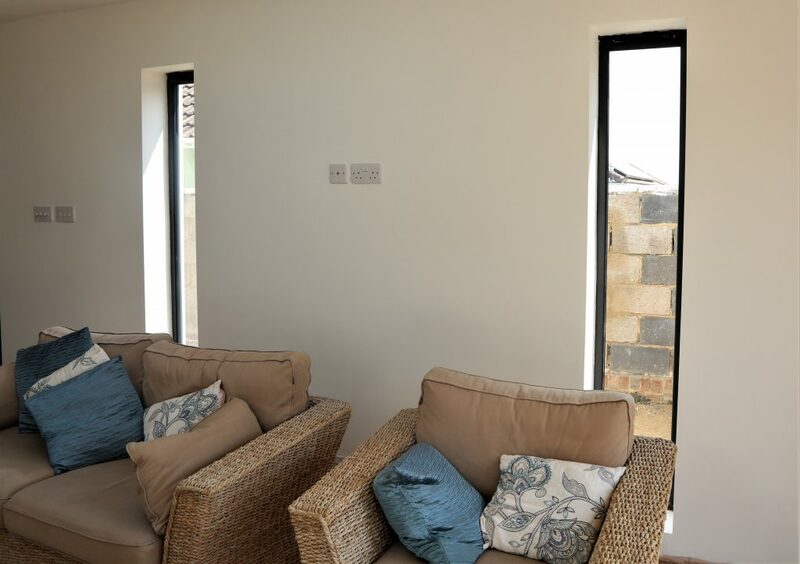 When extending your home, you’re normally looking for more space and more light. Mr Pappa designed the perfect arrangement for the two to meet effortlessly. 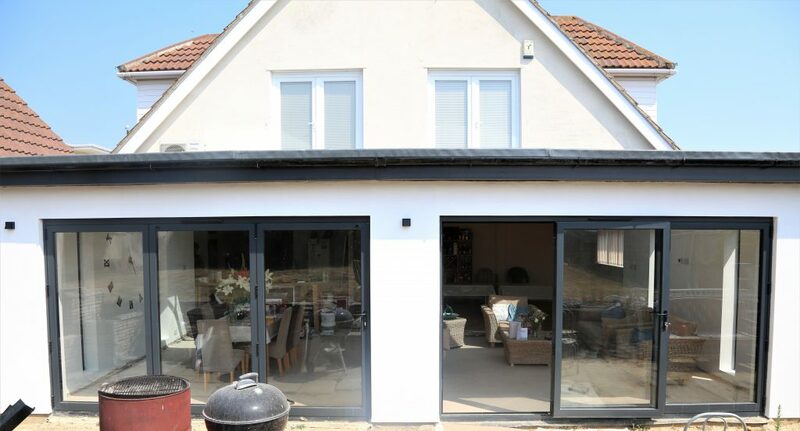 Pairing a symmetrical set of Bifolding doors for that open and airy feel, a couple of Fixed rectangular panels to the return and the addition of our Roof Lantern is definitely the right way to extend your property. 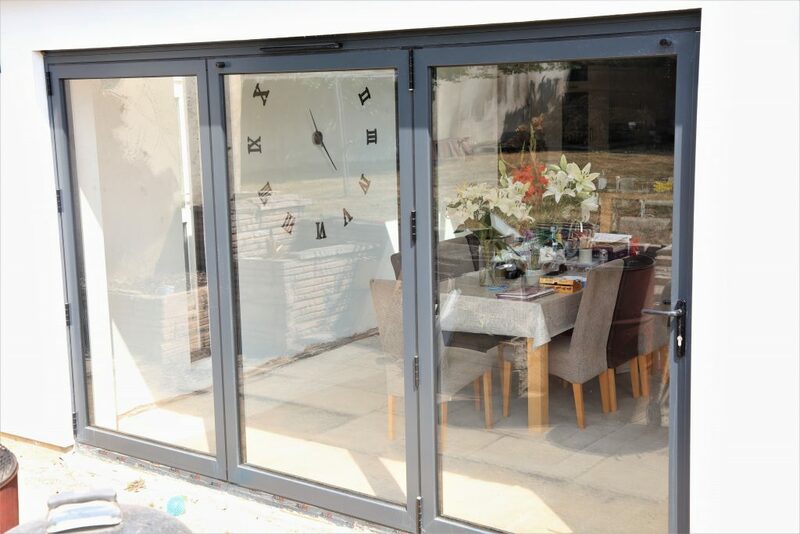 2 x Grey 7016 3 Panel Bifolds with black furniture. GRey 7016 Rectangle windows. 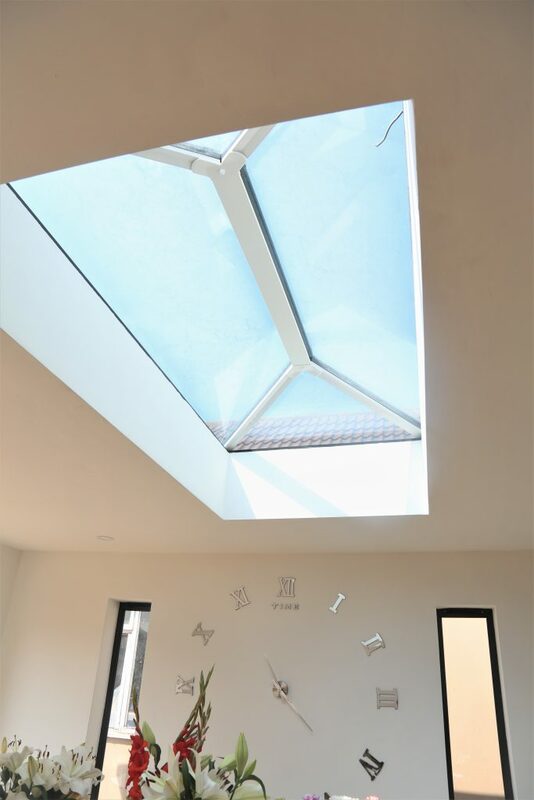 Grey 7016 External/White 9910 Internal Roof Lantern.